Imagine a world very much like 19th-century Earth, but with wizards and swashbuckling heroes . . . and Dragons and Faerie! A world where Kabbalistic magic meets steam-powered technology against the backdrop of imperial intrigue, and where the writings of Doyle, Shelley, Verne, and their contemporaries are fact. A world of high fantasy and romance. This is the world of Castle Falkenstein. This critically-acclaimed RPG setting was originally published by R. Talsorian Games. It found an enthusiastic fandom . . . gamers even showed up at conventions in elaborate Falkenstein court costumes. For its fans, there is no setting quite like "Falk," with its combination of courtly graces, 19th-century intrigue, and steampunk. 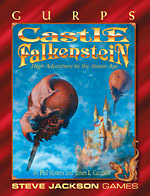 Now, GURPS players can join the dance with the Steve Jackson Games adaptation of Castle Falkenstein. 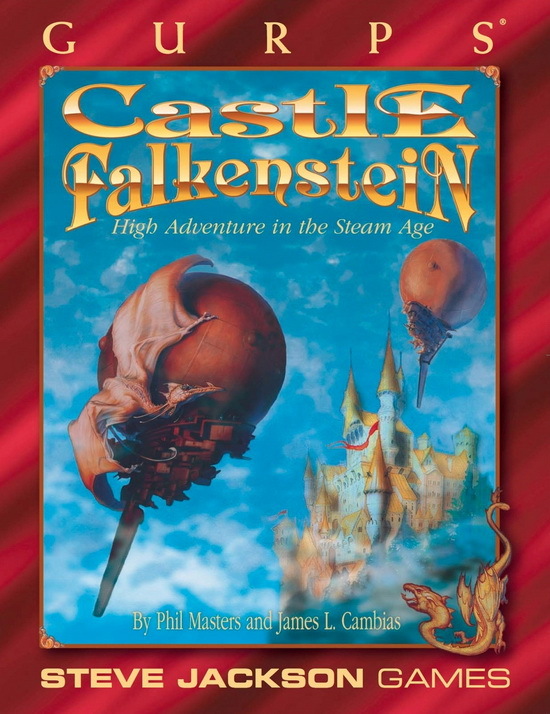 GURPS Castle Falkenstein is true to the original in style and substance, and includes full conversion notes so GMs of either system can use all the sourcebooks published for the other. GURPS Castle Falkenstein: The Ottoman Empire – A land of ancient magicks, mad Sultans, deadly Djinn, and mazes of mysteries and plots.